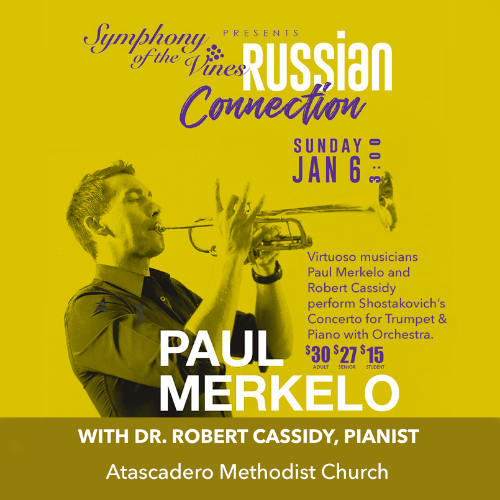 Symphony of the Vines, North County's orchestra, is proud to present The Russian Connection, featuring Paul Merkelo, solo trumpet of the Montreal Symphony Orchestra, and Robert Cassidy, piano. This full orchestra concert showcases composers at the St. Petersburg Conservatory of Music in Russia including Shostakovich's "Concerto for Trumpet and Piano with Orchestra." Internationally-renowned trumpet player, Paul Merkelo, and virtuoso pianist, Robert Cassidy, will be featured during The Russian Connection symphony concert on Sunday, January 6, 3 - 5pm, at the Atascadero United Methodist Church. The Russian Connection features “Concerto for Piano and Trumpet with Orchestra” written by Russian composer Dmitri Shostakovich in 1933. 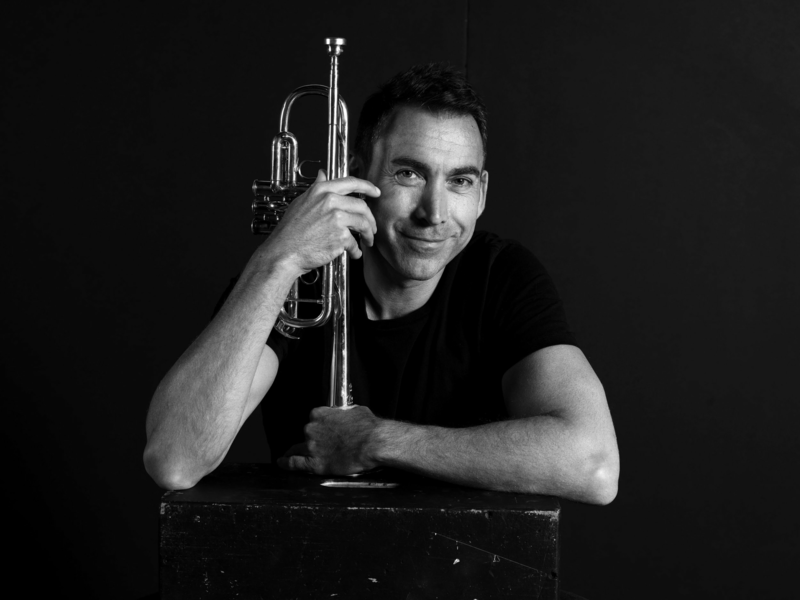 Paul Merkelo has been the Solo Trumpet of the Montreal Symphony Orchestra since 1995. He has played with orchestras throughout the United States, and extensively toured North and South America, Europe, Russia and Asia. He made his New York debut at Lincoln Center with the New World Symphony and Michael Tilson in 1998. Cassidy has a doctorate in piano chamber music and performance from Ball State University. 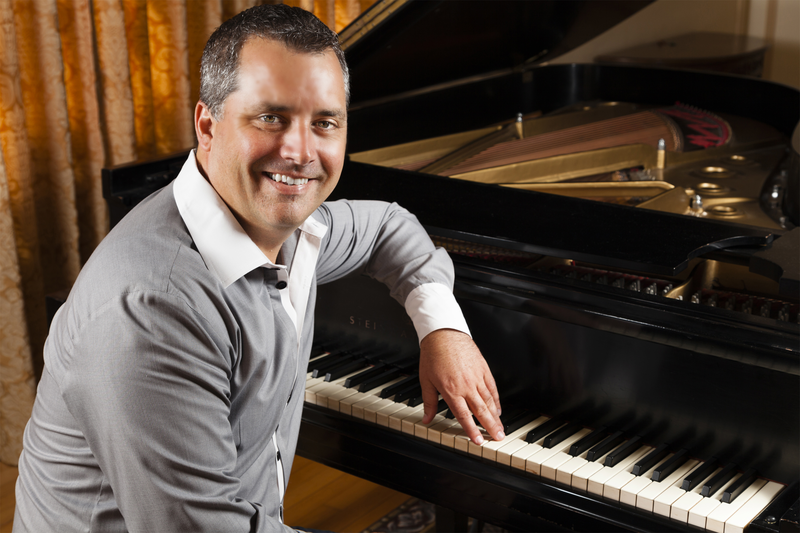 He teaches master classes, workshops and maintains a private studio at The Music of the West in Santa Barbara. This program centers around the composers at the St. Petersburg Conservatory of Music in Russia. Alexander Glazunov was the teacher of Dmitri Shostakovich and Sergei Prokofiev.